I’ve searched through all the casino rental companies in the area & Casino Parties, LLC was the only one to offer the Roulette Display Board. The display board was customized just for my event & it looked very professional. My guests raved about it & how their Roulette experience was just like at the casinos. – Travis E.
Casino Parties, LLC, is an amazing vendor to work with. They answered all my questions right away, & put all my concerns to rest. With their expertise, they suggested dos & don’ts for a successful fundraiser. Their equipment was outstanding. The dealers were all friendly & took the time to teach some guests to play. We not only did we raise more than our expected goal, but we all had a blast! We definitely recommend their services & we are definitely booking again for next year! Thank you, Casino Parties, LLC! – Gloria C.
The party was a success last night! Thank you to Casino Parties, LLC! 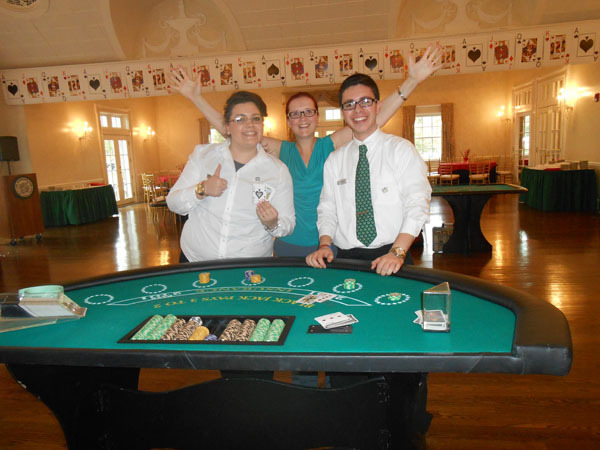 - Jon M.
Casino Parties, LLC, has done all of our Holiday Casino Themed Company Parties. Food, drinks & to gamble the night away without losing a cent is how my staff loves to have fun & unwind! – Christina C.
Casino Parties, LLC was by far the BEST deal I received from all the other companies I contacted. From the great quality equipment, to the very professional dealers & my guests having fun… I definitely got my money’s worth! Great entertainment for parties of all ages! – Lisa S.
Las Vegas. For many people, it’s the ultimate hedonistic experience. The glamorous shows, the seemingly endless supply of food and drinks, and the thrill of casinos make it the perfect destination for those of us seeking an exciting getaway. Unfortunately, not everyone can afford the time or money to head to Vegas every time they get the urge to spin that roulette wheel. Luckily, casino parties have emerged as a practical, affordable way to scratch that Vegas itch at a fraction of the cost. Whether it’s a birthday, retirement or engagement party, or even a fundraiser, you can be sure that a casino-themed event will give your guests the time of their lives. With that in mind, here are a few tips to make sure your casino night is as smooth as James Bond himself. Casino parties work best when the games are fun and easy to pick up. No one wants to spend time at a party learning complicated rules for games that they have never played before. With that in mind, roulette, blackjack, and poker offer the perfect mix of simplicity and entertainment for novices. If you know that some of your guests are experienced gamblers, you may want to throw in a few more specialized games such as craps or baccarat. It’s perfectly fine if you want your guests to turn up in jeans and t-shirts. This casual approach helps create a relaxed atmosphere and makes your guests feel comfortable. However, why not try adding a touch of elegance and glamour to the occasion by asking the attendees to adhere to a dress code? Ask the male guests to wear black suits with ties or bowties (think Daniel Craig in “Casino Royale”), while the ladies should take the opportunity to break out their most extravagant evening dresses, accompanied by as much jewelry as possible. If you really want to push the “high-roller” theme, you could even set up a mini red carpet to allow your guests to enter the party in style. Some casino parties even feature a photographer who will take paparazzi-style shots that party-goers can take home as a memento of an unforgettable evening. All that gambling is going to make your guests hungry (and thirsty). Since they will be busy with their hands, the food menu should consist of finger foods, such as canapés, which are easy to eat and won’t leave the cards and dice feeling slippery. When it comes to the drinks menu, cocktails are an essential component of the most successful casino parties. Having a bartender whip up a “Face Card” (Malibu and pine can apple juice) for your guests can create a lasting memory long after the party itself is over. Do you need some help making your dream casino party a reality? Contact Casino Parties LLC toll-free on (888)-340-1873, or email us at Sales@casinopartiesLLC.com to get all the help you need. All of our staff are professional Dealers. our sales team are dealers, our drivers are casino dealers, our delivery people are dealers, our setup people are dealers, Most importantly our entertainers and managers are all dealers, The casino is all our staff knows. Casino parties are all we do. 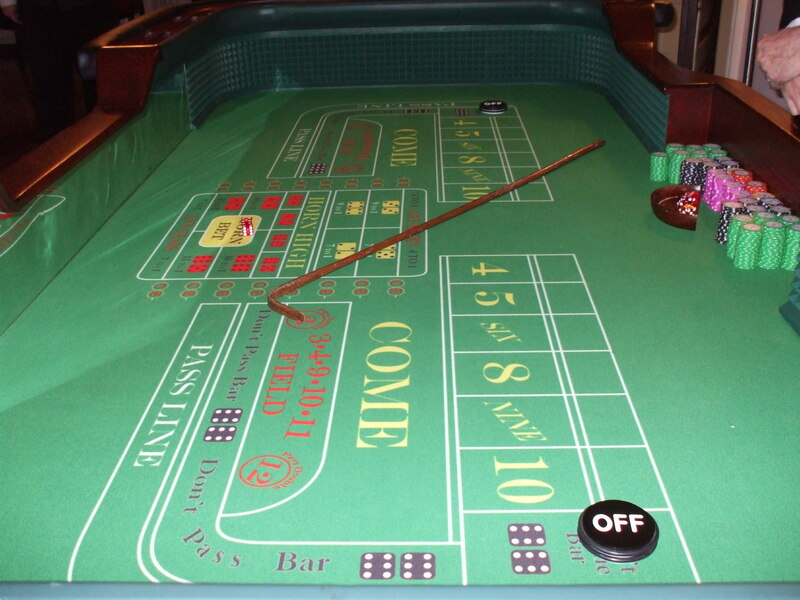 We are the only casino party company that offers a real live Roulette Display. Every true player knows that Roulette requires a display in order to bet properly. 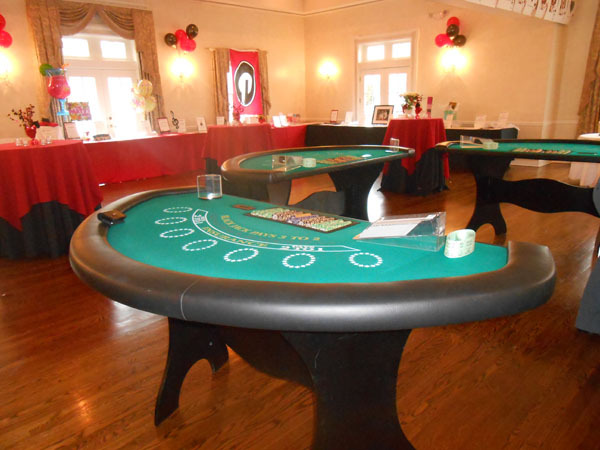 We offer a roulette display FREE with a roulette table rental. We are the only casino party company that provides name tags for all of our staff. It is important that our dealers interact with your guests. With name tags it makes players feel comfortable. We create a fun and relaxed atmosphere. 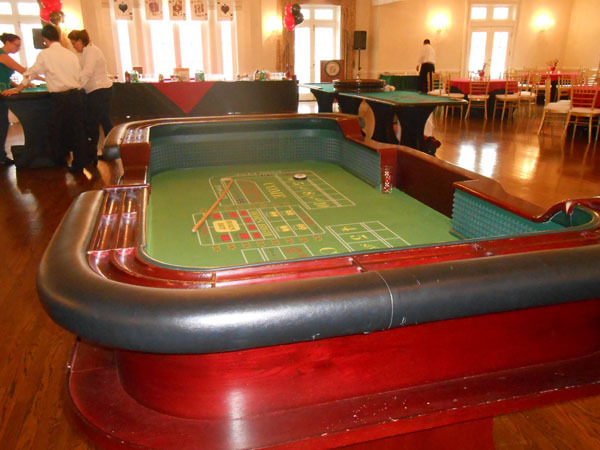 We are the only casino party company that offers a real size 10 player poker table. All of our poker tables are 8 feet long. Providing comfort and authenticity to our poker tournaments. We Guarantee the absolute best price. We are the only casino party company that will beat any quote from any major company. Send us the quote we will verify and beat it. 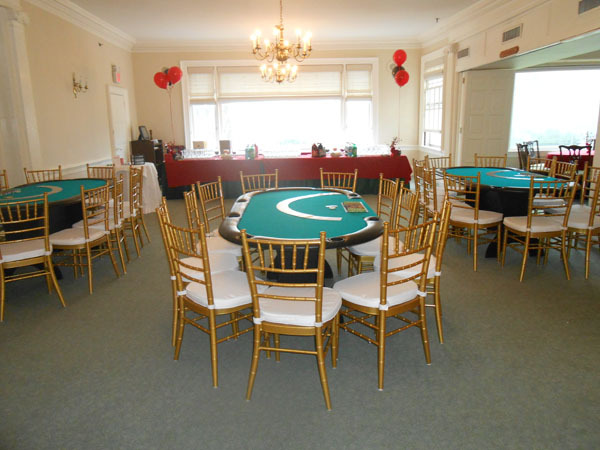 The best service, the best equipment, at the most affordable price "Casino Parties LLC"